Strengten your mind, a mounteneeres thoughts and about the training. For becoming a good mountaineerer you need to strengthen your mind. To build up your mind strength, you need to improve your; confidence, courage, commitment, control and your purpose. To start with the confidence. How to build it up: Stay away from the negativity and bring on the positive. Change your body language and image (pulling your shoulders back etc.) Don’t accept failures and get rid of the negative voices in your head. Be prepared, read and learn all about the area you are going in to. For tough times, when all else fails: create a great list. a list of all your life experience. all things you have accomplish. And the training, still going strong and follows the plan. Today there has been a trail running workout, and a time at the gym. 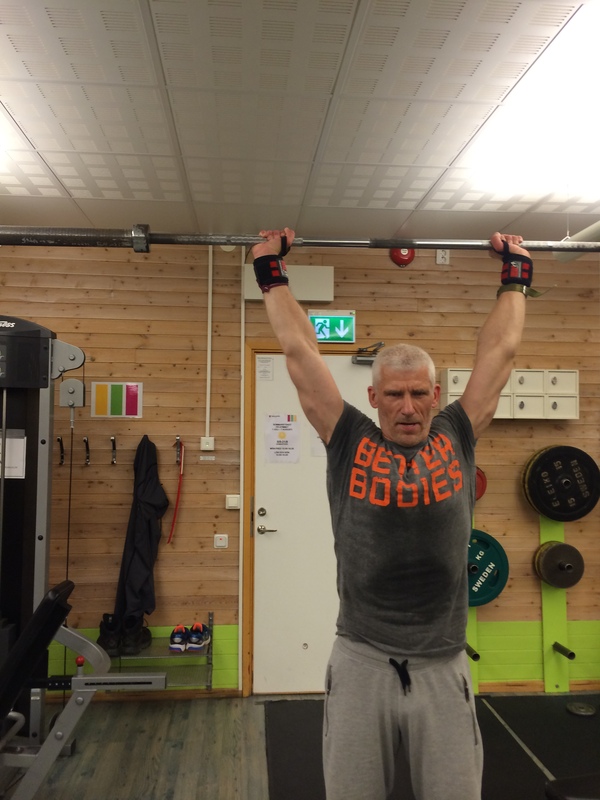 180 strict press within 9 minutes is quite good. And some gear: I have tried Dynafits Enduro 12. 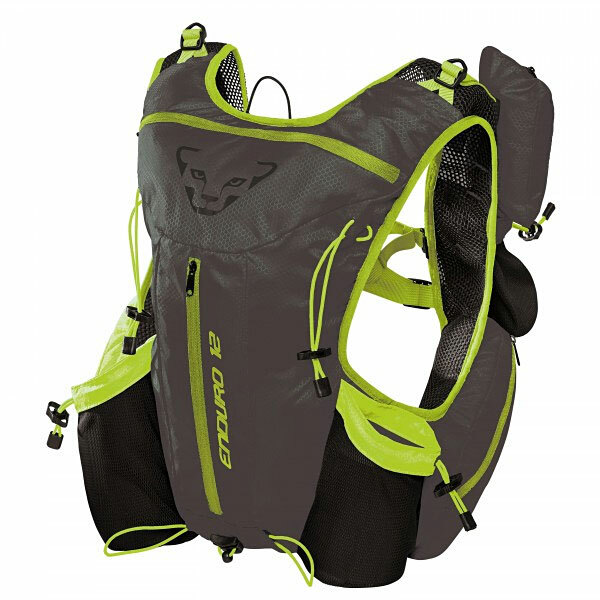 A trail running backpack. It is sitting perfect on the back, and you almost don’t feel it even packed with equipment. A good friend at the mountain trails..
And this weeks music will be Swedish with a message about that the road is the target. Good thinking enjoy the ride, reaching the top will be a bonus:-) A good thought. The summer is upcoming. You can feel the power of the nature when you out there. At the moment the training is in the best of ways. You can combined everything. At the moment it is planning time, lot of activities is coming, and need to be planned. 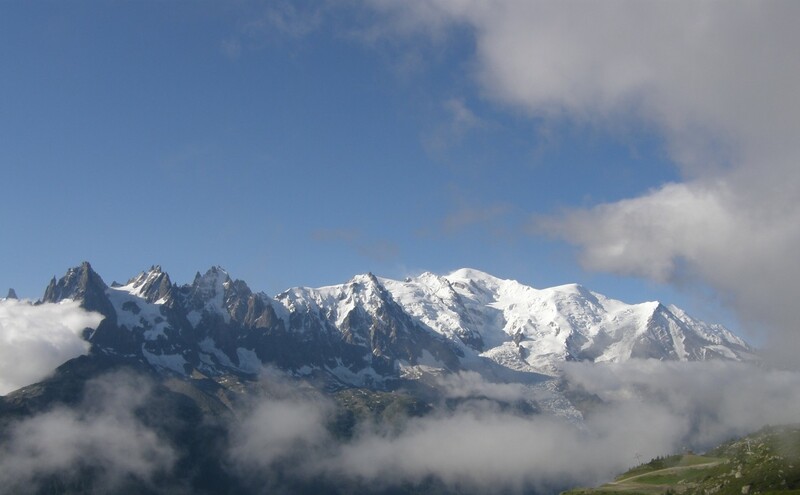 So there will be a time to spent in Chamonix. And there will be some tours to Skuleberget to look forward to. The training follows the planning, and 8 sessions this week. real tough ones also. This weeks product will be Grivels back pack. Grivel always got real good stuff. High quality, and with real god detailed solutions. 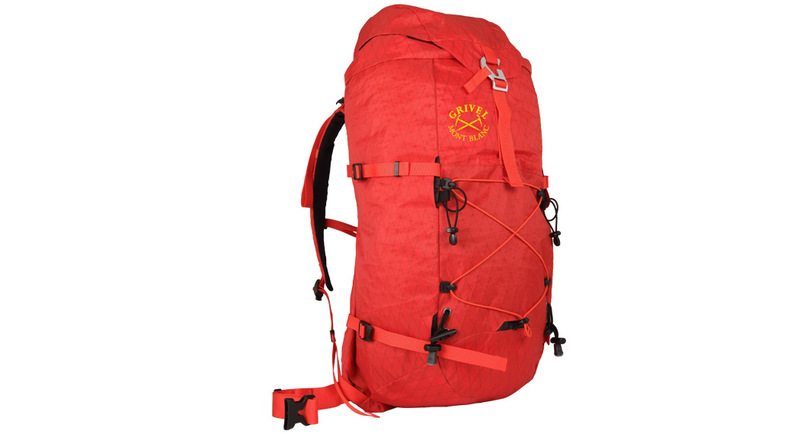 Grivels Zen 30L (also available in 20L and 40L) Ski slot and Ice axe slot. A prefect friend on the mountain. Calazo has also coming out with a new guide book. 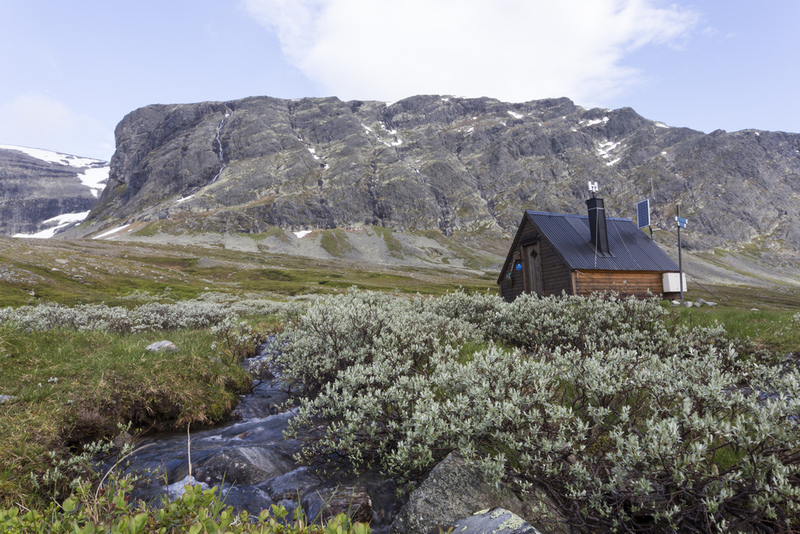 Mountain hikes in Harjedalen. 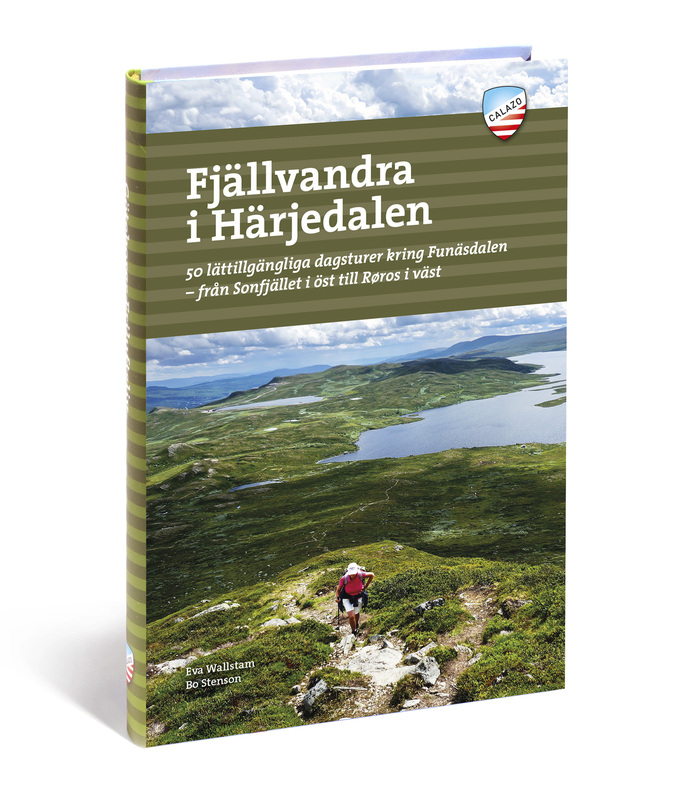 Quite good information of the Harjedalen area in Sweden. And some good old training music.. 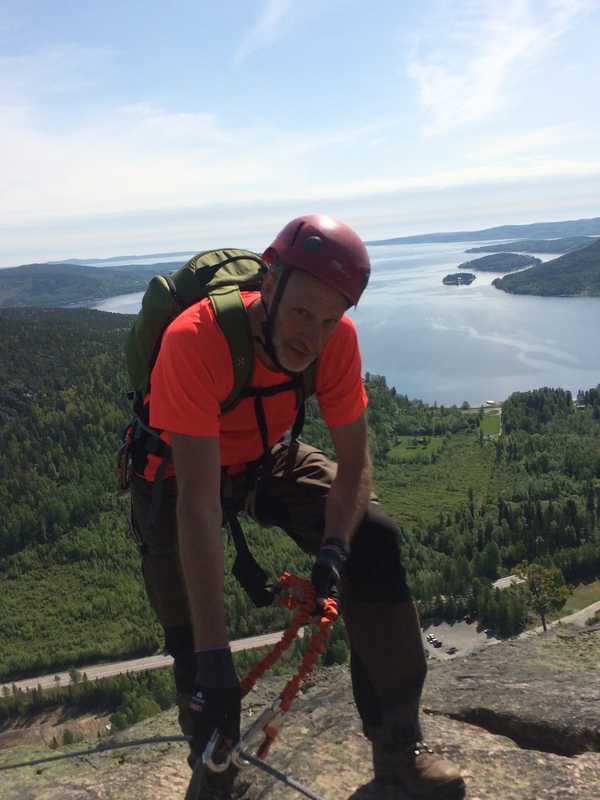 Via Ferrata weekend, night trains and others..
Last weekend we went to Skuleberget again. With 3 different routes we was real satisfied. On the last I got company by a viper. 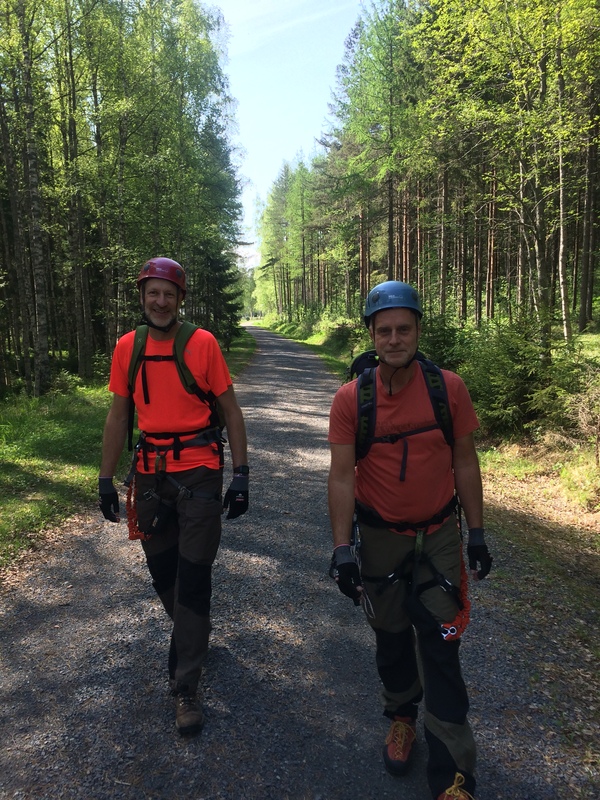 Two expectant climbers for via Ferrata (Michael and Göran). 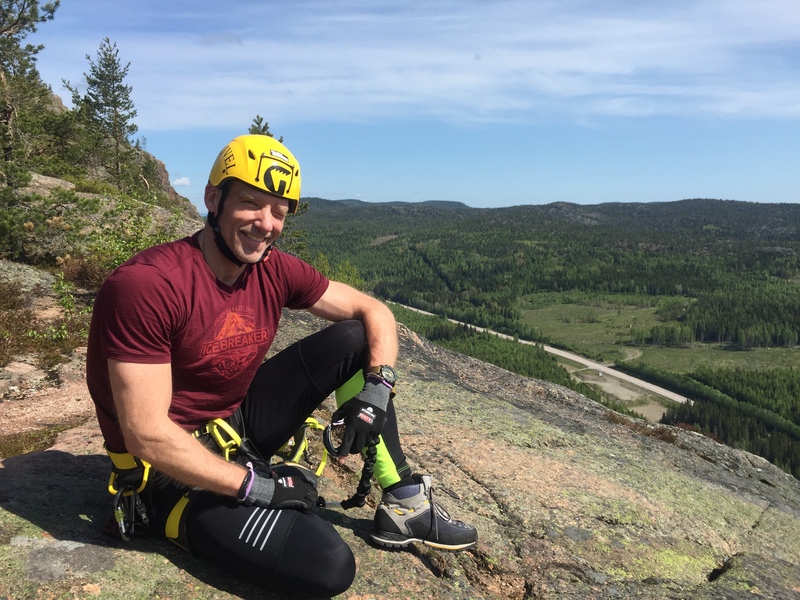 A satisfied client at the end of the via Ferrata route, with a magnificent view over the High coast. (Höga kusten). 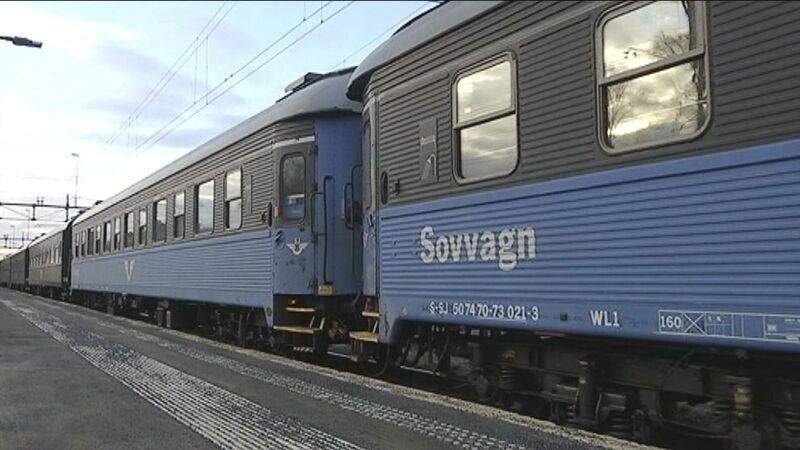 There has been a intensive debate about the night trains in Sweden. The entrepreneur SJ want to stop all night trains. The tourist associations have tried to change or at least to have some impact of the decision. From my point of view, I think they can stop it. With the high prices, bad service and old railway waggons it would be better for someone else to take it over. They have not been interested of the area for the last 10 years, so let someone else who can combine it wit good service for the travellers to take over. A perfect start for a nice mountain adventure. Change entrepreuneur and let us get service when we travel to the mountains. A fantastic summer season is upcoming. Trail running, Via Ferrata, Mountaineering, kayaking a hall of bunch adventures. At the moment I am planning for some trail running. Maybe it will be in the Härjedals/Jämtlands area. Lunndörren a nice area for trail running. 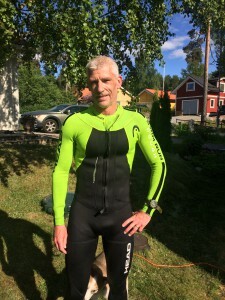 Swim run season is here..
And if you are interested of what a mountain guide will use for clothing, maybe this one can be interesting. 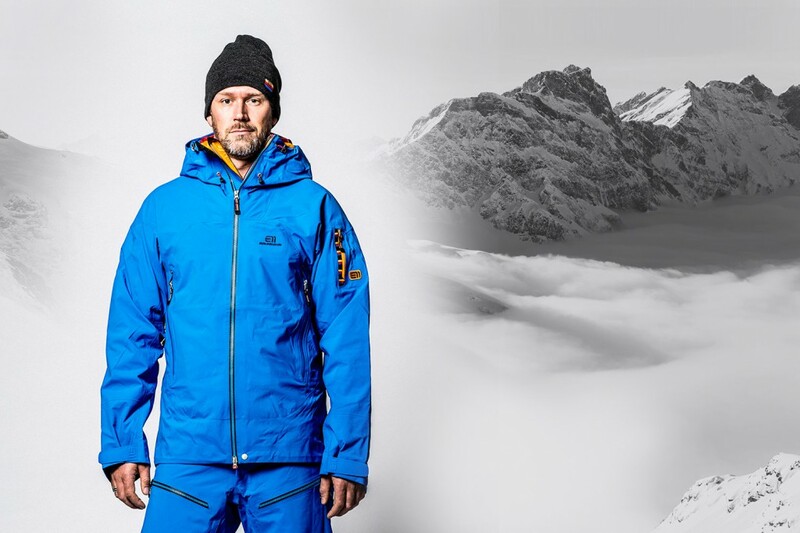 Elevates clothing is developed by Jimmy Odén (mountain guide). And at the end some music for the memory of Freddie Wadling who past away recently..